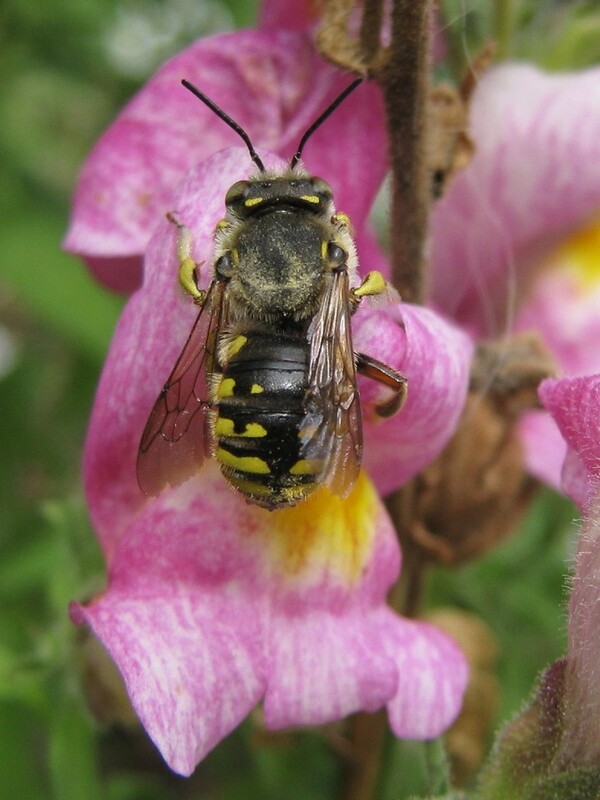 Another bee that I’ve been looking for has turned up: the Wool Carder bee. They’re called Wool Carders because the females gather the fuzz from hairy leaves to line their nests. 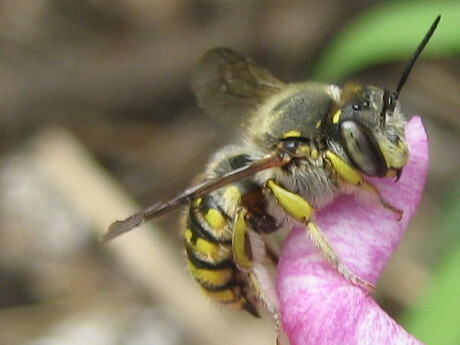 Like the honeybee, they’re not natives, but an introduced bee from Europe. Unlike the honeybee, they tend to stick to Old World flowers. Mine seem to like the snapdragons. The males hang around popular flowers and defend their territory with out-sized ferocity. Even at rest, this one was huffing and puffing and revving up his engines. It can be pretty hilarious watching them zoom around and chase other bugs away, though it’s not so funny for the other bugs. I know I was alarmed the first time I saw one. Their aggression and bright colors make it easy to mistake them for wasps. Now I wonder how many “wasps” I’ve seen near the flowers were Wool Carders all along.